Today's Bounce Back in Business is Milwaukee-born Nick Ruiz. 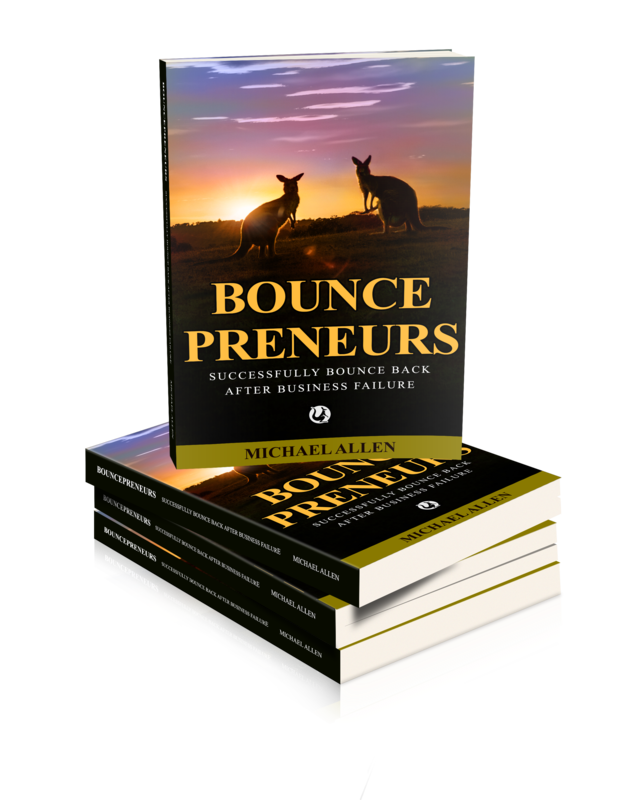 Nick built an impressive million dollar plus property empire by his mid-twenties, but the USA crash in 2008 forced him into bankruptcy. With a child and partner to provide for Nick came out of his low period with a set of tough life lessons that served him well. 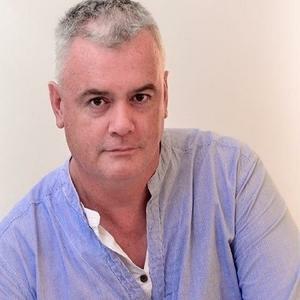 Now a successful property millionaire , Nick also has a respected property education business. Indian billionaire and social worker Anu Aga was born into one of India's most successful engineering dynasties Thermax. Labour and capital investment problems were near terminal. 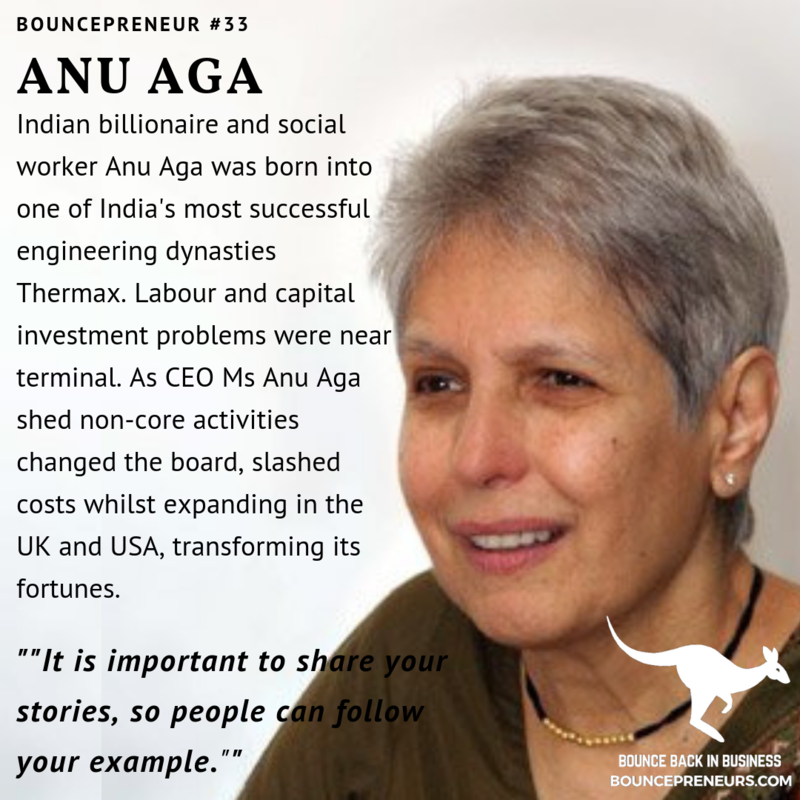 As CEO Ms Anu Aga shed non-core activities changed the board, slashed costs whilst expanding in the UK and USA, transforming its fortunes. 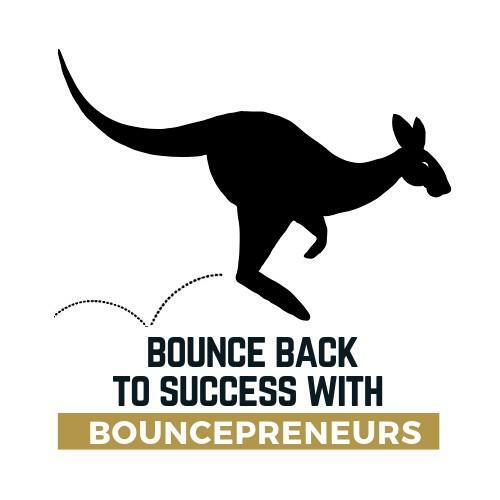 Bouncepreneurs are delighted to induct amazing Italian business woman Donatella Versace to the Bounce Back in Business Hall of Fame. Donatella overcame unexpected leadership, demons and initial losses to stabilise and rebuild the Versace fashion empire. 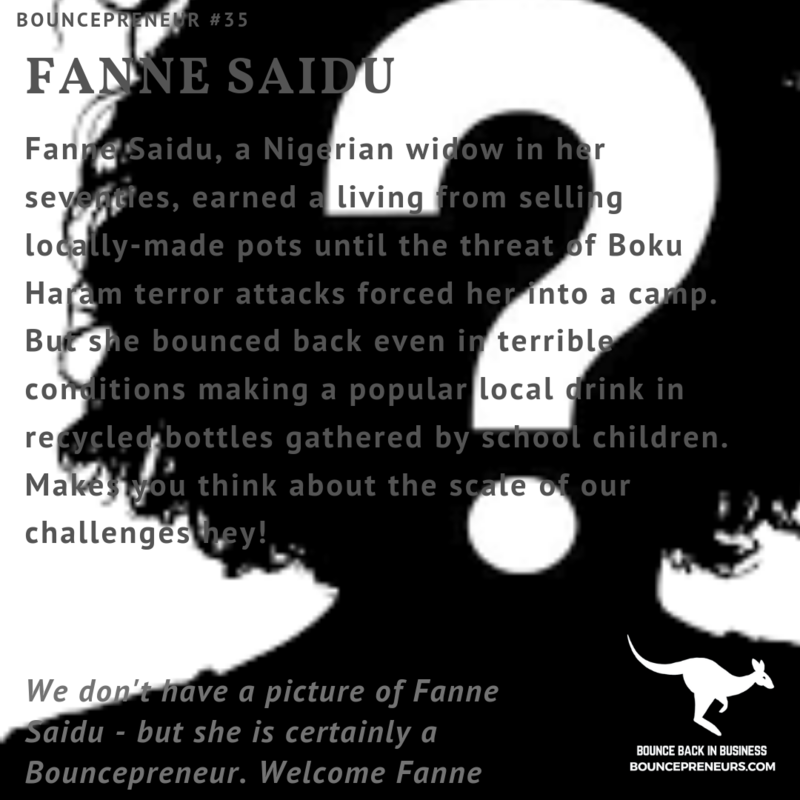 An inspirational female entrepreneur making Italy proud. 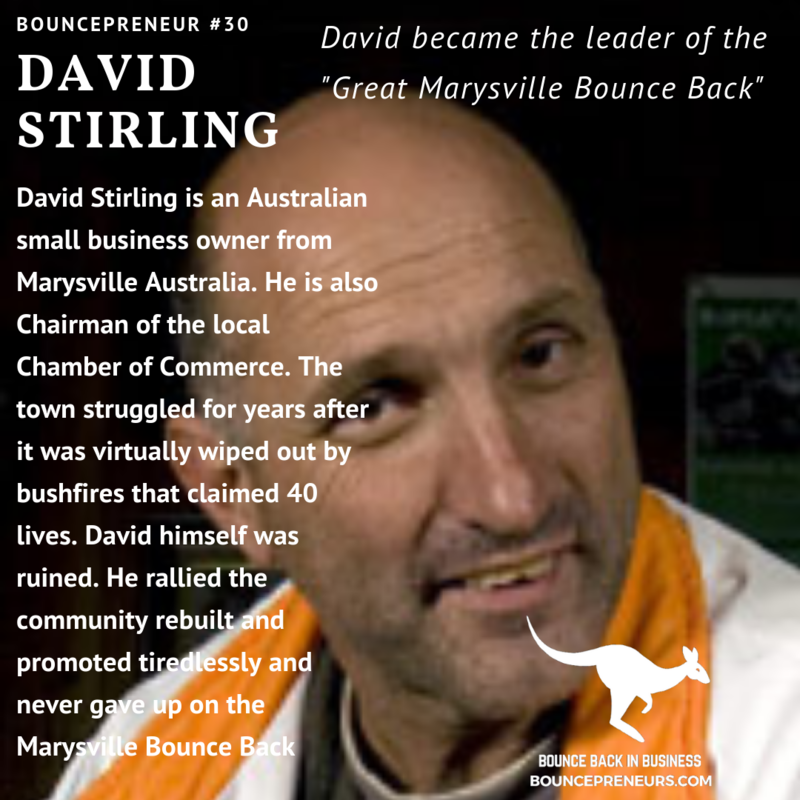 David Stirling of Marysville Victoria Australia, is an amazing example of bouncing back in business after adversity. Not just for himself, but for his whole town. 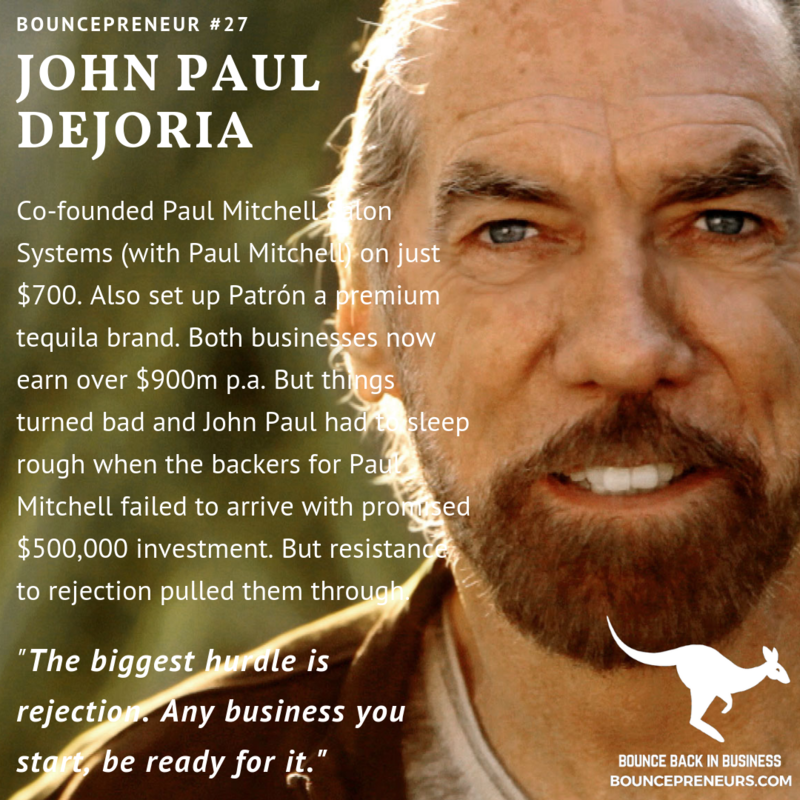 Welcome to the Bouncepreneurs Hall of Fame David. On January 29th 1886 Karl Benz patents the "Benz Patent-Motorwagen" in Karlsruhe, Germany, the world's 1st automobile with a burning motor. 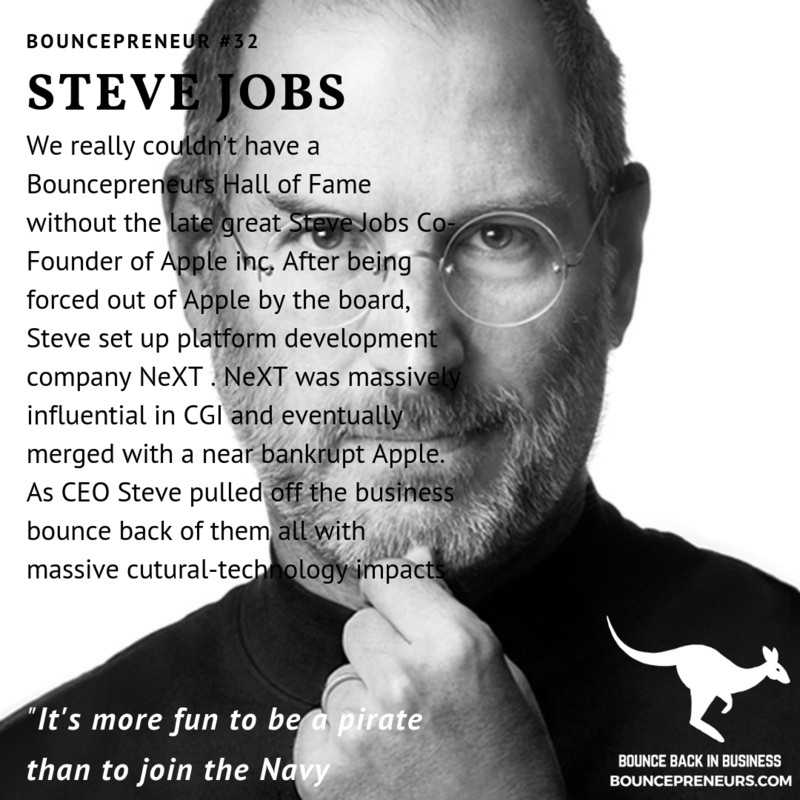 But Kark Benz was himself a Bouncepreneur. 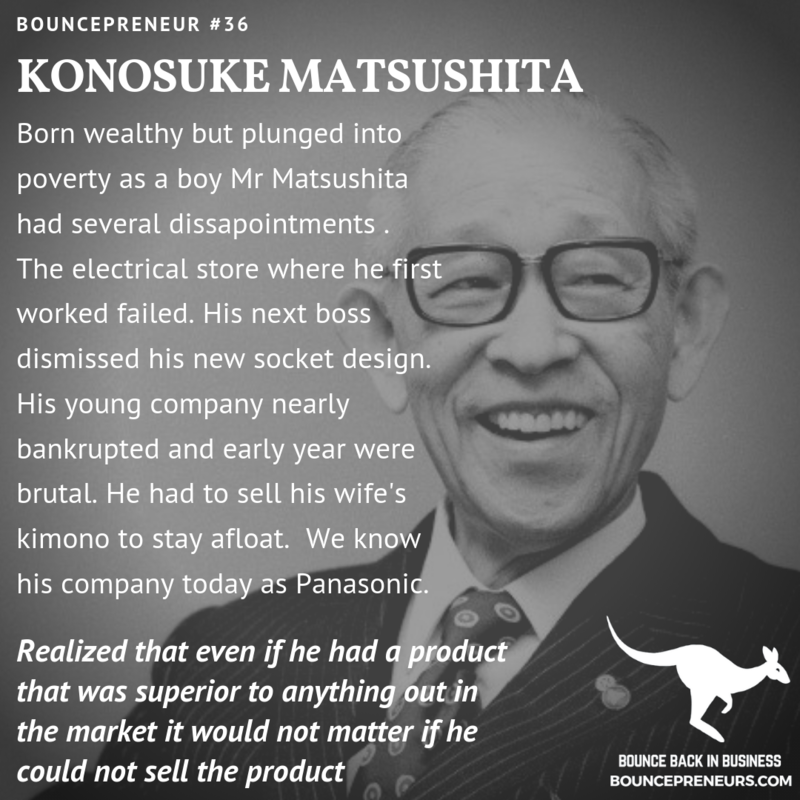 But an earlier engineering business with a partner went very badly. The partner was unreliable and the business's tools were impounded. 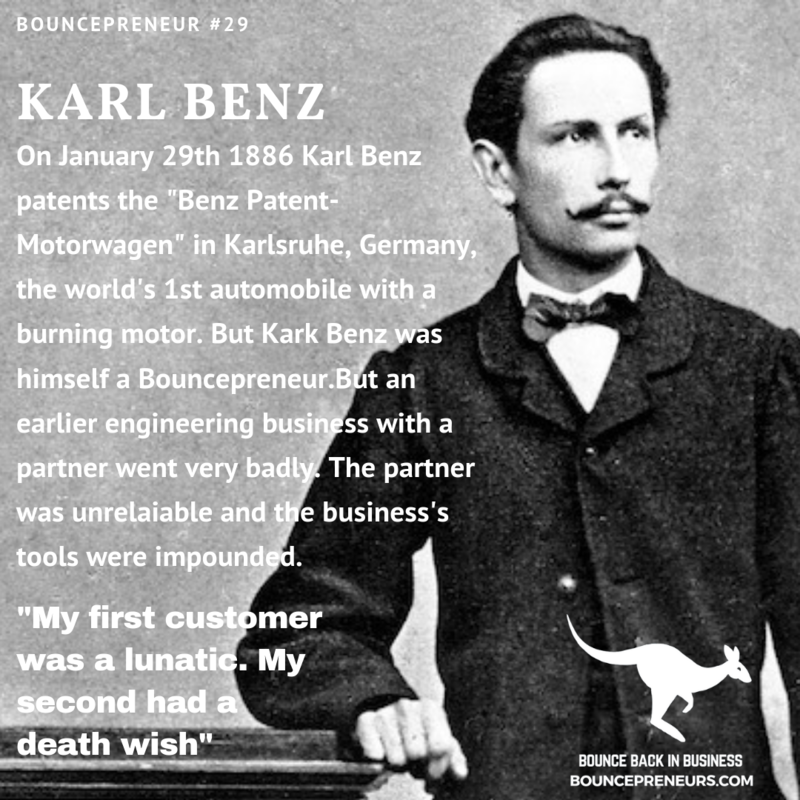 Thank you Karl Benz for inspiring those who have failed first time to bounce back in business. 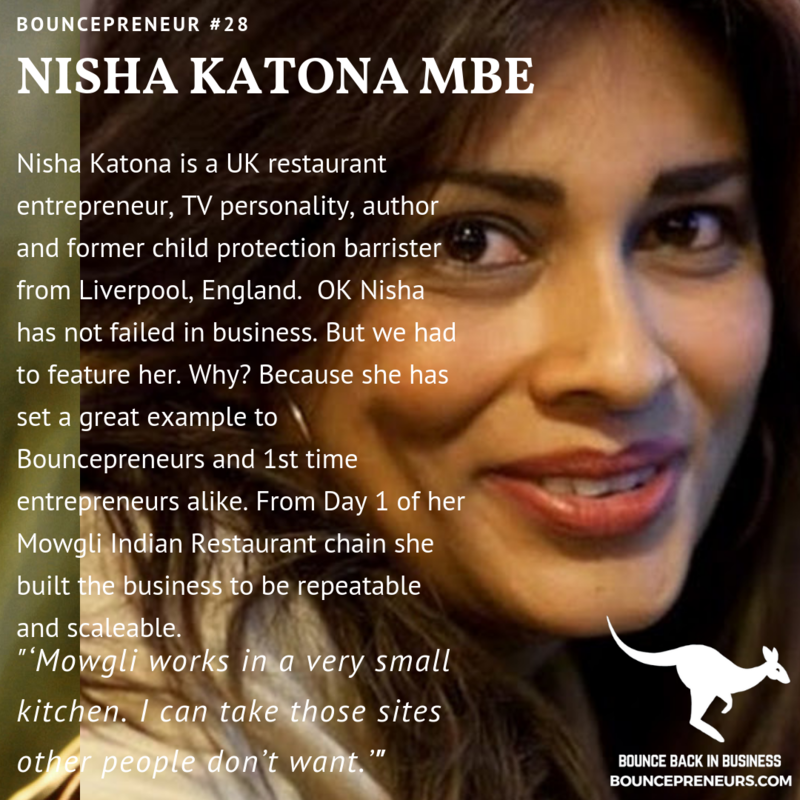 OK so Nisha has not failed in business, so strictly speaking she is not a Bouncepreneur! It's a fair cop! But if you really want to know haw to plan from the outset how to repeat a business concept then Nisha is the person to study. Her chain of Indian Street Food Restaurants Mowgli Street Food Restaurants are growing rapidly.